You buy good fence by the year, not by the foot! Miller Fence not only installs new fencing projects but also does fence repair. Let one of our friendly estimators show you what your next project could look like. Pools, pets, privacy, and kids. There are many reasons for fence installation. Whatever your reason is, we have you covered. 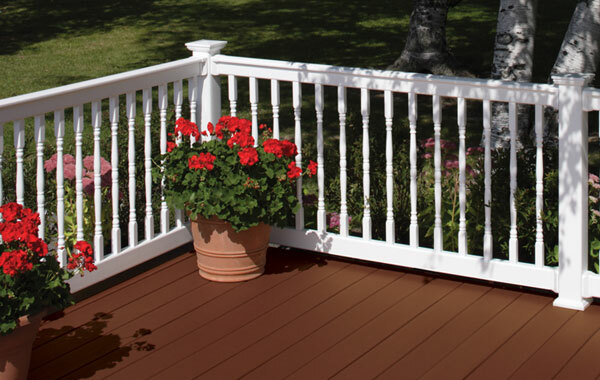 Whether you need to sleeve over wood posts on your deck or sprucing up the front entrance, there is a railing system that will fit your needs. Looking for a grand entrance to the back yard or covered area for your patio? Let us help. 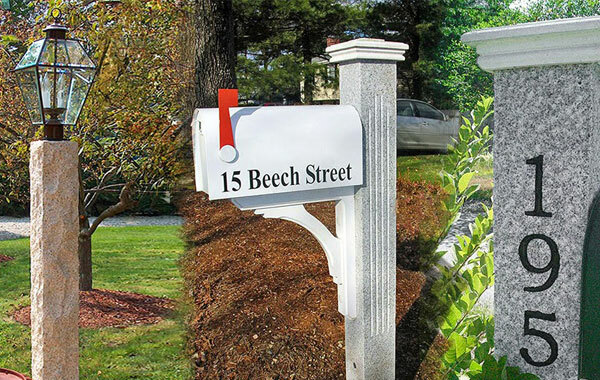 Was the winter rough on your mailbox this year? How about that old lamp post? Time to refresh. Celebrating 52 Years in Business! We know that your time is valuable. That is why we offer evening and weekend estimates throughout the year. Please fill out this form to better help us understand your needs, and what samples and brochures to bring with us to better inform you for your decision. We will also make recommendations for specific situations and won’t push anything on to you. Please allow some time to sit down with our estimators to go over the whole process. Thank you and we look forward to seeing you soon. Thousands of satisfied customers in central Massachusetts (some are in your neighborhood), and we would be glad to give you as many references as you like so you can see for yourself. We are currently celebrating our 52nd verifiable year in business! Our company has been family owned and operated since 1967, and now into our third generation! Miller Fence is FULLY Insured with liability AND workers comp. Don’t put yourself at risk. Make sure anyone working on your property is insured in both of these areas. We have been a Better Business Bureau (BBB) accredited company since 1981 and hold an A+ rating. In fact, Joe Miller Sr. has been on the board of directors for over 35 years (we are held to a higher standard than other companies). We have been a member of the American Fence Association (AFA) for over 35 years (1980). Kim Miller is also President of the NE Chapter and serves on the national AFA Chapter Presidents’ Committee. 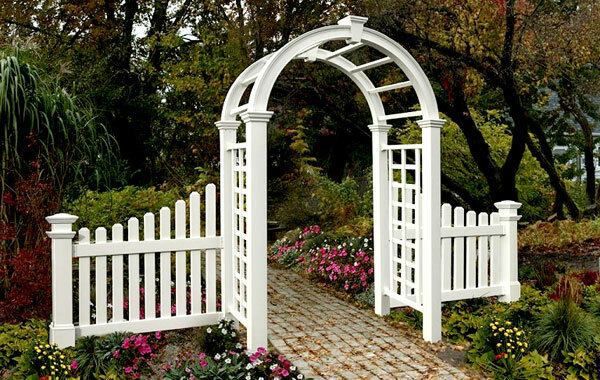 We are industry experts who bring superior skill to each fence we build and install. Why worry about your fence project? Have it installed right the first time with a trusted and proven company. All products installed by Miller Fence are backed by a 2 year installation warranty. This is twice as long as most of our competitors. Enjoy peace of mind knowing that we back our work with confidence, and will be there to settle the issue if the case arises. You always have an open invite to come down to our company and take a look around our show room, outdoor displays, and talk with our knowledgeable staff. In fact, we strongly suggest you pay a visit to our competitors as well to see what kind of company you might be dealing with. 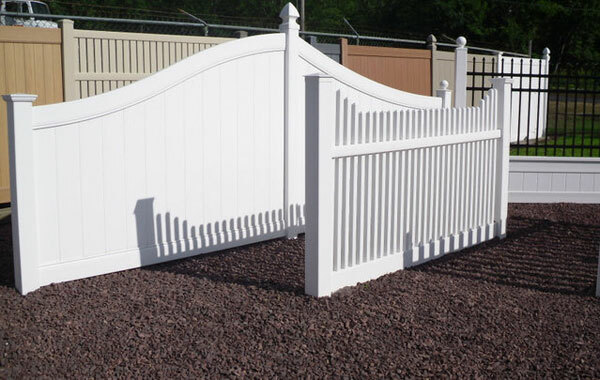 Miller Fence is the largest and one of the oldest fence companies in central Massachusetts. We have built our reputation of quality on providing the finest fencing materials and retaining the most talented installers. We do not subcontract our fencing projects. Several crews are active during the season to ensure that your fence is installed up to Miller standards. We refuse to cut corners on installation. Our customers have been our most important source of advertising. The majority of our sales are former customers or word of mouth. In an attempt to say thank you we have started a customer referral program. For each referral that leads to a sale, that customer will receive a small token of our appreciation. So please spread the word!